This week was a busy one for the Basics, Monday and Thursday was all about Intramurals. We were able to catch many sports and many smiles! During the Academic year, you will see coverage of Intramurals throughout the Fall and Spring Semester! Each quarter the Cadets are able to play a different set of sports and at the end of the quarter each sport will have tournaments and a Championship game day. Intramurals is an event during the academic year that we love covering too! Tuesday morning the Basics got to see an Airmanship Demo highlighting some of the programs that the Academy offers. The Basics were introduced to the Gliders, Wings of Blue, and RPA which stands for Remoted Piloted Aircraft. During the course of the Academic year as well as during the summer periods, we have many opportunities to catch Cadets as they learn to fly the Gliders, Jump during the 490 Program, RPA, and flying T53's in Powered Flight. 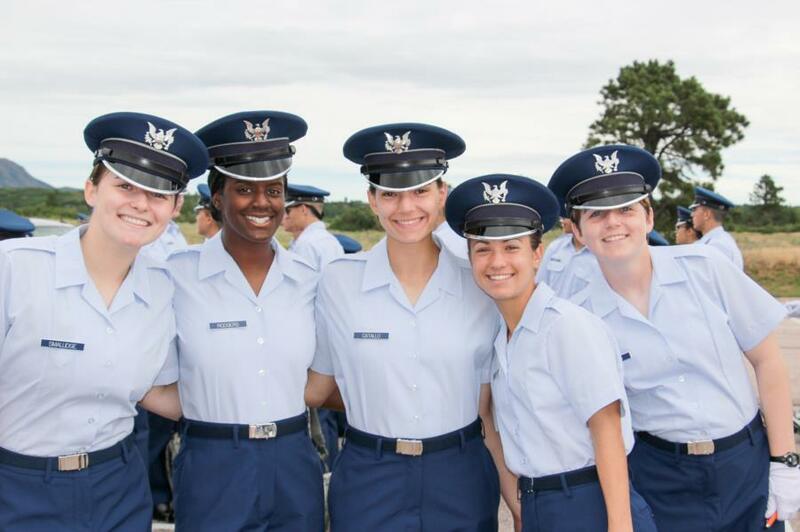 If you haven't already - to get an idea of some of the activities your Basics (soon to be 4th Class Cadets) will be able to participate in, definitely check out some of our upperclassmen blogs from this summer! After the Airmanship Demo, the afternoon brought on the new portion of BCT - Aquatic Screener testing which, like the Academic placement testing they did earlier in BCT, this test will assist the staff with putting Cadets into the right PE classes for swimming. Those who didn't take Aquatic Screener testing on Tuesday had it either Wednesday or Thursday. There was also supposed to be a Flight Drill Evaluation on Wednesday but it got cancelled. However, prior to it's cancellation we caught a flight practicing for it. On Wedneday morning, they had their first and only AFT during BCT and unlike the PFT which has 5 events the AFT is just the 1.5 mile run. When they finished their 1.5 mile run, they had to report their time to the Cadre. For both the men and the women there is a mean (minimum) and a max time that they have to try to accomplish. Friday was the last PFT that the Basics will have during BCT until the Academic Year. Like last week the Basics were tested on 5 events, the Pull-Ups, Long Jump, Sit-Ups, Push-Ups and the 600-Yard run. While the PFT was going on and into the afternoon, the majority of the Basics were also getting their haircuts. Most of the women didn't have to unless they had short hair and need to trim it so it would be above the collar but all of the men had to have their heads shaved again like on I-Day just 3 weeks ago. Even though we have witnessed our fair share of these haircuts. It amazes us to see how much hair actually grows in such a short amount of time. Finally, Saturday was Doolie Day Out for the Basics! Where they got to spend some time with their Sponsor families, relax a little bit, call home and (hopefully) get some homecooked meals. Tomorrow is the March Out to Jacks Valley for the Basics, where they will spend the next week and a half going through different courses that will test them mentally and physically. 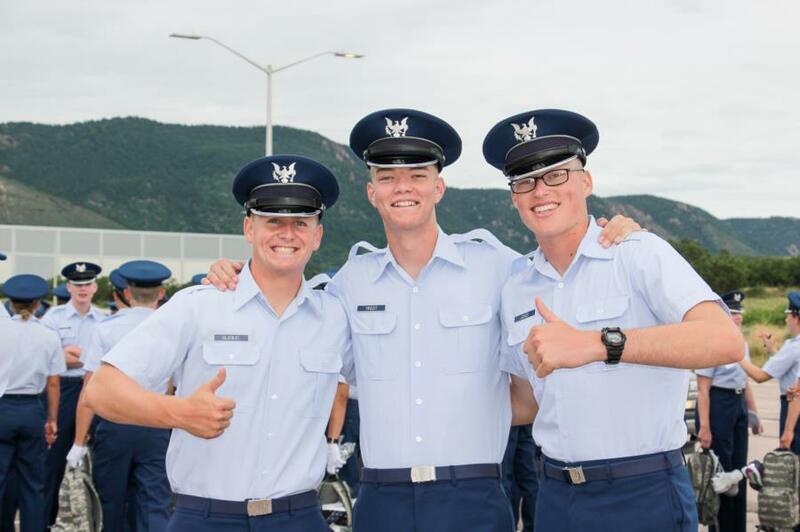 Being out in Jacks Valley will not only boost their morale as the days pass but it will make their bonds with each other that much stronger as they get through each course as a team. That's it for the Summary Sunday blog, we'll be back tomorrow after the March Out!